Rooms, services Guests looking for accommodation in Gyöngyös are welcome to book 35 nicely furnished rooms at Hotel Opál Gyöngyös. The hotel offers chield-friendly services, which will assure a pleasant stay for the complete family. In case you'd like to have a meal or a drink on the spot, you will be provided freshly prepared dishes in the restaurant every day. If neccessary, you may park your car at the parking place of the hotel for free. For recreational purposes you may try the wellness services provided by the hotel, more detailed information you will find on the information sheet. In some of the rooms air-conditioning is in operation, ensuring that you will be feeling good also on warm summer days (please make sure on the information sheet of the selected room). Wireless Internet connection (WiFi) is available at the hotel, enabling portable devices and smartphones to go online. An exact and detailed list of equipment in the rooms and of the services provided by Hotel Opál Gyöngyös you will find on the information sheet below and on the information sheet of the individual rooms, including any applicable additional fees. Catering The hotel is greeting you with rich and tasty breakfast every morning, which is included in the price of the reservation. If you prefer another type of catering, you can also request half board to your reservation. Additional offers, payment Besides standard reservation a special deal is available to you, the details of which you will find at the "Packages" section below. The following methods are available to pay the reservation: cash, credit card. 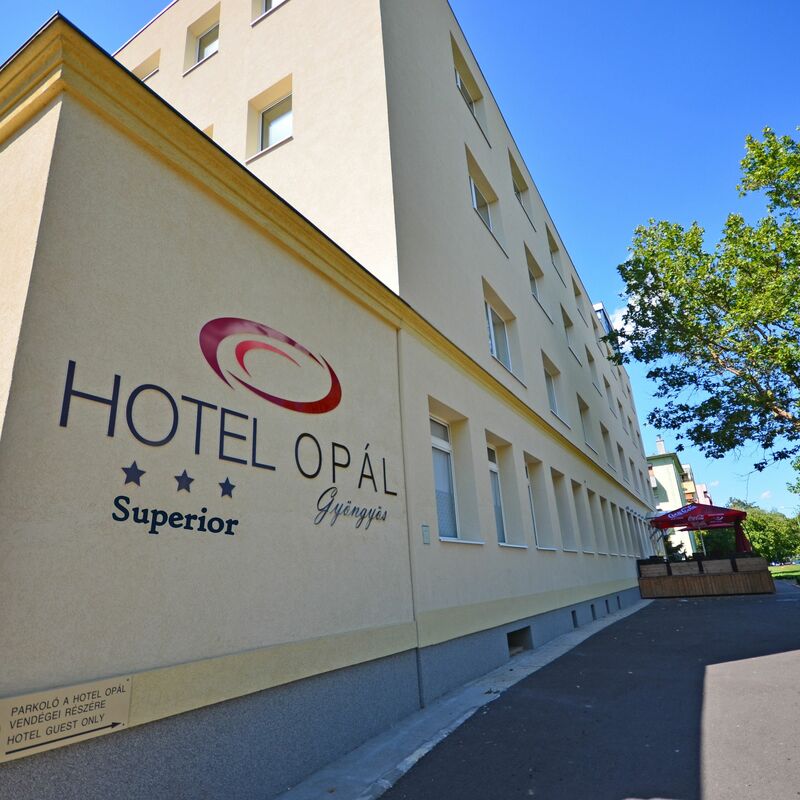 The rating of Hotel Opál Gyöngyös is 9.3 from the maximum 10, 242 based on actual and valid guest ratings and reviews. "Vékonyak a falak, ezért sokminden áthallatszott." "Tágas, tiszta, nyugodt és szálláshely. A szaunavilág nagyon rendben van, a reggeli bőséges. Még visszajövünk!" "rend, tisztaság, tágas terek, kedves és segítőkész személyzet, nagyon jó az elhelyezkedése a hotelnek, a központban és mégis csendes helyen található; a gyerekeket órákra lekötötte a játszósarok, s így mi, szülők is tudtunk olvasgatni a játszósarok melletti fotelekben"
Based on the reviews and comments of actual guests, the services of the Hotel Opál Gyöngyös have received a high rating of 9.1/10.